Highlight your natural beauty with natural makeup. Lily Lolo’s organic mineral makeup gives a lightweight, flawless finish that’s less likely to irritate sensitive skin or clog pores. All makeup contains minerals, but mineral makeup’s main benefit is it’s lack of preservatives and unnatural chemicals. Lily Lolo’s all-natural ingredients provide light SPF protection and even help soothe skin. Its antibacterial properties make it ideal for acne-prone skin, too. 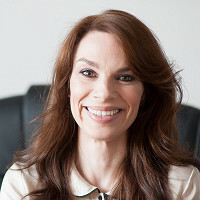 Founder Vikki Khan fell in love with mineral makeup, but had trouble finding a reasonably priced product in the UK. So she began her own brand—Lily Lolo, named after her sisters. BB cream (short for Beauty Balm) has taken the world by storm, and Lily Lolo’s natural version is no exception. Like their eye shadow, it’s designed to go on light. Apply it in layers to create your perfect look. It’s a bit of affordable luxury that promotes your natural beauty while treating your skin right, too. Hello everyone! I'm proud to introduce Lily Lolo to The Grommet. I'd be happy to answer any questions you have! Hi, the most important criteria for me is whether it's tested on animals, and is it exported to China where animal testing is the norm, even on imported products. Well great news, Carole, Lily Lolo is cruelty-free and Made in England. Check and check! @Mike Carole all our ingredients are from the EU and we are certified as 100% cruelty free "leaping bunny" approved. It is very important to us also as we are lovers of animals small and large. These products are vegan so that makes a big difference with no animal sourced ingredients. I'm very interested in trying your BB Cream, but am unsure which color to choose. Currently, I use Bare Minerals Complexion Rescue in "Ginger 06." I am somewhat olive complected, but not on the "yellow" side. I do not tan, so my skin stays the same year round. I am looking for light, natural coverage. I think I should probably use the Medium in your line, but wanted to ask your thoughts. If you are unfamiliar with this color of Bare Minerals, it probably won't be easy to advise, though. Thanks! @Tracy Hi Tracy, Thanks for your question. We do have women in the office who use Bare Minerals so i consulted with them. I have an olive complexion and just tried the Medium from Lily Lolo and it looks great. This is the first time I have tried a BB Cream and I may just start using this one. I am excited about these new products you've developed. In particular, I'm interested in the the naturally light coverage the BB cream might provide. Can you tell me if after application it has a luminous finish or imparts a "glow"? Many BB creams do, and I am not fond of that type of finish. @Ilona Thanks for your question. Our tester here in the office said "The BB cream provides good blendable coverage but doesn't impart a luminous or "shimmery" finish." I hope this helps. I have tested the shadows and use them daily. @Marcia Our BB Cream does not have a shimmery finish as you said. For super Matte looks a setting powder also is a good idea! I'm definitely interested in trying your makeup line. Would it be possible to see on-skin swatches of the eyeshadows in your palettes? Thanks! @Lori Hi Lori, Thanks for your question. The palettes were designed to work with all skin tones. There is a combination of matte and shimmer and neutral and dark shades in each palette. I have an olive complexion and have been wearing the Laid Bare palette for about a year now. Some of the other women in the office with lighter complexions said they would wear either palette because of the color options available. @Lori We do have these. I will make sure the Grommet can post them on the eye palette page. @Vikki ~ I don't think they've added it to the eye palette page yet ~ I'm really looking forward to seeing how they look on the skin vs how they look in the pan :) Thanks for asking them to add it on the site ~ I know many people like to see swatches (even with or without an eye primer) before they buy shadows online, especially when it's a higher end priced palette :) I'll keep an eye out for it ~ Congrats on your Grommet debut! so where's the organic certification? @Brianne Our products and ingredients are British Soil Association approved. @Vikki So are they approved but not certified? The Soil Association logo is no where on the product, product packaging or website. I imagine this would be prominently displayed, especially after going through the rigorous certification process. Correct, Brianna, they are approved. What do you mean by a light sunscreen? I have had skin cancer on my face many times and am very careful to wear sunscreen. Can you tell me if the amount is equal to a SPF 30? @Sue Our BB Cream contains Titanium Dioxide which is the active sun blocking ingredient used in natural sunscreens. BB Cream is not a high SPF itself (7-10 SPF) so should be used with sunscreen or foundation with a higher rated SPF. Our mineral foundation is rated at 15 SPF so if used together it will be higher. I hope that helps! 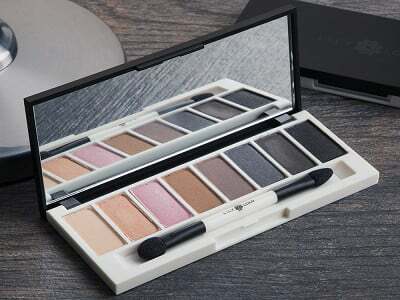 @Vikki hi..i am very allergic to eye shadow.......but i would like to try yours if you think it might work.......i don't know the difference between the pressed and the mineral eye shadow.......would one be better for me than the other? @Patricia Allergies can be a complex topic as you know I think ! Different people can be allergic to different things. We designed our eye shadows (bb cream & mascara too) to be ultra sensitive and avoid common known allergens. Ingredients that we know irritate the skin are avoided. We also have a minimal ingredient list that makes it easier. Regarding mineral vs pressed. Mineral powders contain only minerals so have fewer ingredients that can cause allergies. The "Pressed" minerals have some botanicals added like jojoba, argan, pomegranate, vitamin e (from rice), manuka oil. You can see the full ingredient list on the grommet page for the eye palettes. These natural organic oils are fine for 99.5% of us and we rarely have allergy complaints. If you are unsure of what you are allergic to you need to experiment and try it with a small skin test. @Vikki So can you say your products are gluten free? I am celiac and cannot wear makeup that contains any gluten products or derivatives of gluten. My skin will react terribly. Hi Laura, only the BB Cream is not gluten free. The eye shadow and mascara are. Enjoy! congratulations on your line, I would love to try your foundation, however, you don't carry shares for my complexion. I am from Jamaica WI and I have dark olive skin tone. I hope in the near future you will carry products to serve women of all colors. @orlene Thank you Orlene ! For dark olive tone (a lovely tone!) try the Cinnamon shade in our mineral foundation. The Medium BB Cream works for darker tones whether olive, warm, cool, or neutral skin tones. I do not see your foundation listed for purchase. @Arlene Good question! The BB Cream offers a light coverage foundation wth skincare in one. BB Cream is an easier product to choose online with out sampling as the shades are very broad and cover all tones (olive, warm, cool, and neutral). Our Mineral Foundation is a good suggestion for the future and would need sampling!